While apples are still in season, I wanted to make a few more recipes that use them. And this recipe uses a lot of them! The card calls for 4 bowls of apples and 3 bowls of sugar. A little internet research told me that the translation to that is: 4 pounds of apples and 3 cups of sugar. Be prepared when you make this recipe that it takes quite an investment of time (especially if you are going to can jars of it afterward) but it is completely worth it. It took me about 45 minutes just to core, peel and cut up the apples. Once everything is in the pot, it basically just cooks and makes the whole house smell delicious for about an hour. Looking at the recipe, I knew this would make way more than my husband and I could consume so I decided to learn how to can so that I could give jars of it away. I purchased Mason jars from the grocery store and found a great site with instructions on exactly how to successfully can jellies and jams. I didn’t have the proper canning utensils, but made due with large pots, which worked, but I also burned the tips of most of my fingers quite nicely in the process. Note – do not attempt to lift jars out of a vat of boiling water using a spatula, wooden spoon and an Ove Glove. The next time I do this (which will be soon because I already have a list of people I want to send this delicious treat to), I will be using the proper canning equipment. To be honest, I was pretty intimidated by the idea of canning my own food. But despite a few minor burns, it was a lot easier than I thought. And it’s a great way to keep food for a long period of time without adding a ton of preservatives. If you have never had apple butter before, it’s worth a try. It isn’t butter, but instead a fruit spread that can be used on toast, English muffins, etc. and tastes like gooey cinnamon apples. It’s delicious! So good in fact, that for a few minutes while I enjoyed toast with warm apple butter, I completely forgot about the fire alarm going off (from all the heat in the kitchen), the dog barking (because the fire alarm was going off) and the fact that the tips of my fingers looked like little Rudolph noses. It was a pure Calgon moment. 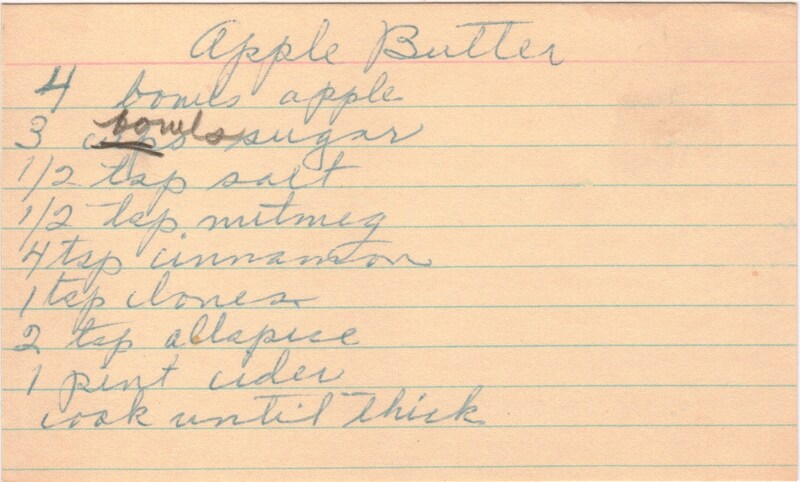 Glad you found this recipe, my grandmother used to make apple butter every year. It is so good! Interesting isn't it to try and read the correct ingredients or instructions from someone else's recipe? 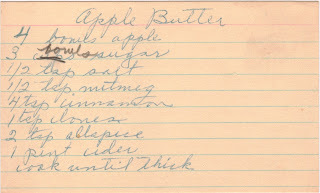 Now I need to go and see if I have granny's recipe, if not I will you this one. Thanks for putting this on! Very good looking picture! It should read, I will use this one, 'not you this one', sorry.